And here’s the thing, racing industry, this is but the beginning; we’re not going away. We’re smart, we’re organized, and we’re serious. We are Horseracing Wrongs. 105. 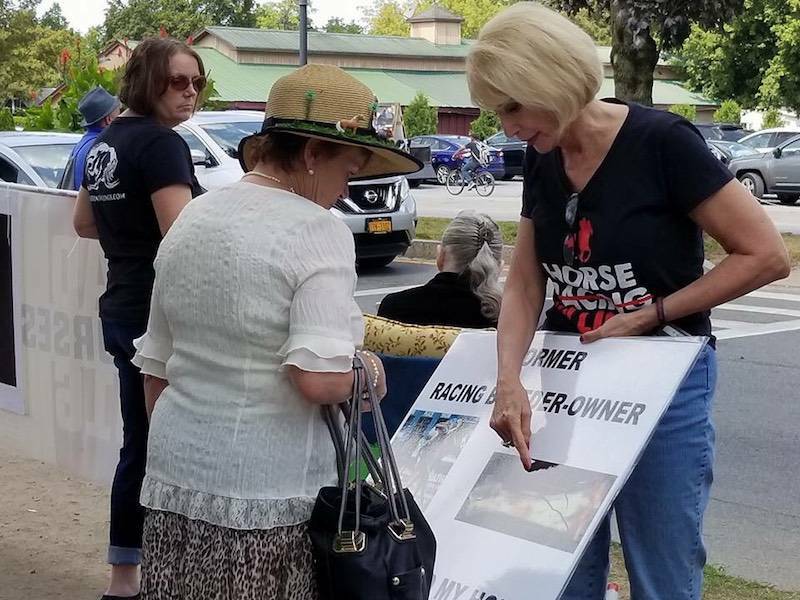 That’s the number of protesters Horseracing Wrongs brought to Saratoga Race Course Saturday, Travers Day. It is, to my knowledge, the single largest protest ever held at a racetrack on the North American continent. Ever. And it probably breaks our own record – the 75-80 we’ve been taking to Saratoga weekly for the past two summers. It is a tremendous accomplishment, owing mostly to the extraordinary work of HW Vice President Nicole Arciello – our mobilizer-in-chief. 105. 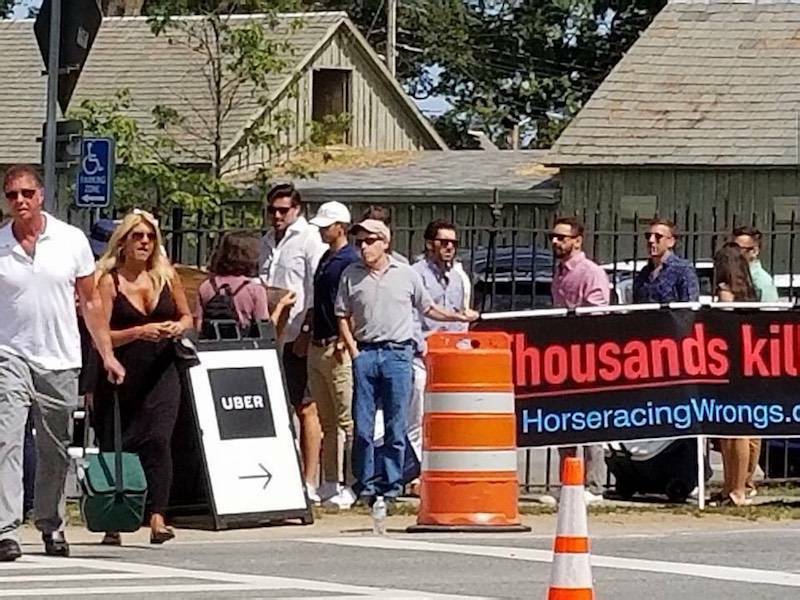 And here’s the thing, racing industry, this is but the beginning; we’re not going away. We’re smart, we’re organized, and we’re serious. We are Horseracing Wrongs.